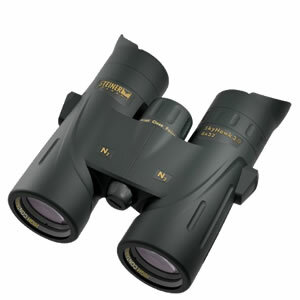 Ideal both as an entry-level binocular to the fascinating hobby of bird watching, or for the highest demands of experienced ornithologists: The different SkyHawk 3.0 models offer the ideal binoculars for every requirement - and do it at an exceedingly attractive price. Once adjusted to your individual visual acuity, you can easily observe all objects from a distance of 20 metres with high contrast and sharpness right to the edge. A short turn on the extra-large center focusing wheel is all it takes to get excellent modelled images in the close focus range of 2 metres and greater distances. 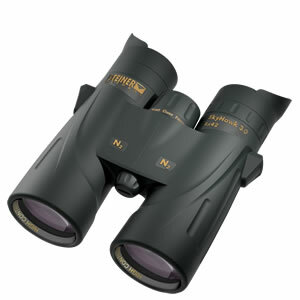 NBR-Longlife Rubber Armouring The especially durable NBR-Longlife rubber armoring protects the binoculars from jolts and is resistant to oil, acid or adverse weather. The surface always stays easy to grip and won't slip, even when subjected to extreme wetness, heat or cold.